Home News Is this the adhesive medical device manufacturers have been waiting for? Is this the adhesive medical device manufacturers have been waiting for? 3M reveals its latest adhesive and why medical device manufacturers might be interested in its development. According to a market by MarketsandMarkets, the medical adhesives tapes market is projected to grow from an estimated $6.64 billion to $8.76 billion in 2022. Finding inspiration from a range of sources – geckos, sandcastle worms and slugs, the sector’s aim to find increasingly better and more effective medical adhesives, continues. One company that has been looking at this is 3M, inspired by a patient’s heart monitor that kept falling off. The company makes everything from Post-it notes to structural adhesives that hold airplanes together. It also makes advanced medical adhesives that can hold for up to two weeks. When considering adhesive science and the challenges of a substrate like skin, design engineers know sticking-to-skin is trickier than you would think. 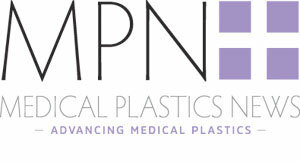 However, the company believes that the addition of 4076 Extended Wear Medical Tape to its portfolio, 3M’s Medical Materials and Technologies business has given medical device manufacturers and engineers a long-term wear, acrylic-based adhesive solution designed to increase patient comfort and provide a strong and reliable bond in challenging applications. According to 3M, this non-sensitising, conformable adhesive was developed for long-term wear, providing a bond that is firm yet comfortable so patients may not even realize they are wearing a device. This allows engineers and manufacturers to focus solely on their device’s design and application, spurring innovation while ensuring their timeline and budget requirements are met. Compliant with ISO:10993 and ISO:10993-10, medical industry regulations assessing a product’s potential to produce irritation and skin sensitization, 4076 Extended Wear Medical Tape is approved for use on intact skin.